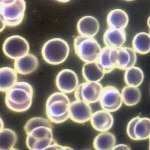 Can Dehydration Cause Too Much Calcium in Blood? The simple answer is Yes! But that is not the only answer. When we do not have adequate hydration, we are first at risk of regional fluid and electrolyte imbalances. Our body is always compensating and shifting the water stores and managing the electrolytes to the place of most importance. As the fluids decrease in our bodies, typically the sodium and potassium also decrease. Unfortunately, calcium is not lost and levels of too much calcium in blood can result. This is called hypercalcemia. Note that while this may be due to the ratio of calcium to fluids, it also can be the result of calcium supplements and consumption of dairy products. When we have too much calcium in our blood, we can experience heart arrhythmia (irregular heart beats) and chest pain. As it progresses, we are at risk of kidney stones, dementia and kidney failure. It should be noted that taking too much calcium supplements in a short time frame can cause chest pain. What's Calcium? Where Does it Come From? How can you know if you are at risk for too much calcium in blood without a blood test by your doctor? Initially when you have too much calcium in blood, there are no signs and no symptoms. As the amounts of calcium in your blood increase, you will experience thirst. This is a late sign of dehydration but never associated with hypercalcemia. Also you may experience nausea, vomiting, loss of appetite, abdominal pain, and constipation may be experienced. As the imbalance increases, you may experience lethargy, fatigue, confusion, muscle weakness, and joint pain. 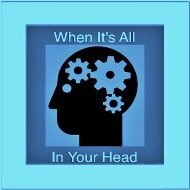 Here is a short list of some of the mental challenges too much calcium in blood can cause. *Difficulty in putting thoughts into words. Doctors have a mnemonic for too much blood calcium: "Stones, bones, abdominal moans, and psychic groans," which is a help to remember the signs and symptoms of hypercalcemia. The most common reason we have too much calcium in the blood is due to calcium overdose from supplements or dairy intake. A secondary cause would be dehydration. Why Calcium Supplements? Think about it. The people promoting calcium and dairy make an incredible profit from the sale of their products. They are not in the business of telling you how to have the best health. So, as an educated consumer, it is up to you to research and lean the truth. Do a web search on the topic of Calcium Kills. You will find numerous headings with info like...."...recent evidence that suggests high amounts of calcium from supplements can contribute to heart disease..."
Also, some forms of calcium are really unhealthy. I remember one doctor saying what ever you do, don't take Coral Calcium. Why? They have a higher than normal risk of mercury, lead, kidney stone production and allergic reaction risks. Add to the above dehydration and worse, fluid and electrolyte imbalance (not enough salt or reducing salt intake all-together) and you have the perfect storm to end up being in a state of too much calcium in blood. What To Do: Instead of using calcium supplements and dairy products, why not take a lesson from the animal kingdom. Where do lions, tigers, bears, bovines, beavers, and other animals get their calcium from. Certainly not from dairy products once weaned and not from supplements. They get their calcium from the bones if omnivores and from dark green leafy vegetables (note Where Does Calcium Come From box above) if ruminant vegetarians. Additionally....when we have too much calcium in our blood, the thyroid releases calcitonin. This hormone helps regulate our bodies mineral levels. This hormone slows the release of calcium from your bones but it does not reduce the amount of calcium in your blood. 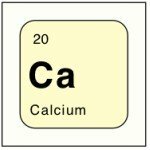 Since it wants to help us get rid of the excess calcium, what happens to the calcium? It calcifies in places that are harmful to our health. Typically, medical intervention is used to correct hypercalcemia (too much calcium in your blood). Simply drinking water alone will not help as it is mildly diuretic. Only water with unprocessed salt will naturally hydrate our bodies. Scientific research has found that oral hydration is equal to or better than IV hydration. 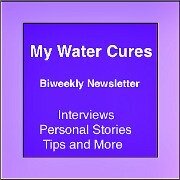 What To Do: Follow the water cures protocol to maintain hydration. Contrary to what most websites say, thirst is not a good indicator. Thirst is a late indicator making it an ineffective way to learn of the problem. 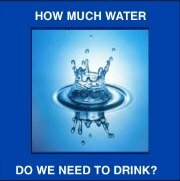 To begin with, every day on awaking, we should drink 10% of our body weight in ounces of water. 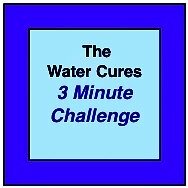 With each 16 ounces of water, we need about 1/8th tsp of unprocessed salt dissolved on our tongue so it can rapidly get into our blood to help with the absorption of the water. At night, 30-45 minutes before bed, we should also drink 10% our body weight in ounces of water. 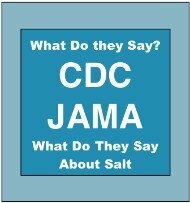 Again, it is necessary to take 1/8th tsp of salt on the tongue for every 16 ounces you drink. For some reason, many times people miss the part where the directions say to PUT THE SALT ON YOUR TONGUE....and as a result, the write and say putting the salt in the water made them sick. Additionally, our bodies ideally need the 10% and the salt three more times during the day. If you are working hard, working out, exercising, participating in sports, in the heat, working outside in extreme cold and especially if you are mouth breathing, you will need additional water and salt on your tongue. If you are ill, you may need additional water as well. Unfortunately, the illness may make adequate oral hydration impossible. If you are experiencing vomiting or diarrhea, then you will need even more water. Conclusions From Pub Med Article: Alternations in salt and water intake affect renal calcium and magnesium handling. 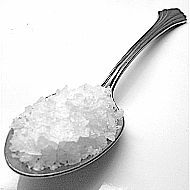 High-salt intake increases the distal delivery of the divalent cations which up-regulates distal tubule calcium and magnesium transport molecules (read: you get rid of excess calcium from your blood), while the opposite effects are associated with low-salt intake or dehydration (read: end up with high blood calcium levels). As more information becomes available on this topic, we will update this page.